With this hack you will be able to make so that users can post links at your forum after they have been registered members for a certain period of time set by you. By default it is set to 1 week. After installing the hack, go to Settings-Options->Number of Days Registered to Post Links. There you can enable and disable the hack. You can also enter the minimum number of days a user must be a register member in order to post links. 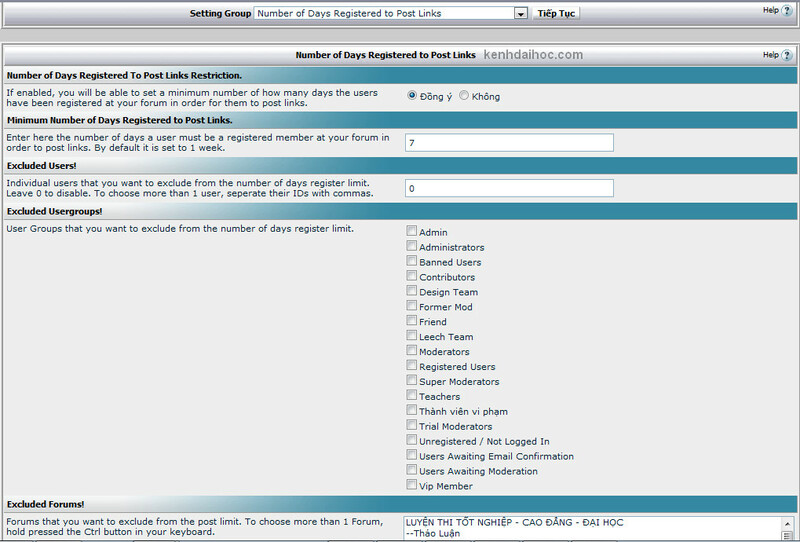 You can also choose which User Groups and/or Individual users and/or forums will be excluded from the number of days register limit.